Bound by marriage to a cruel lord, Madeline no longer dares to remember the innocent love she once shared with Major Hallam Ravenscar. 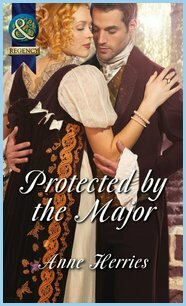 But when her husband offers her favours to a notoriously depraved marquis in order to settle his debts, Maddie knows she must escape. Her good name compromised, Maddie must withstand the scandal that looms in the wake of her departure. Should she turn to noble, honourable Hallam - or will she end up tainting him with her shame?